The beauty of the six yards lies in a lot of things but the integral aspect has always been identified as the print. The color palette and quality also hold importance but the saree prints always rule. Together they make a saree worth wearing. 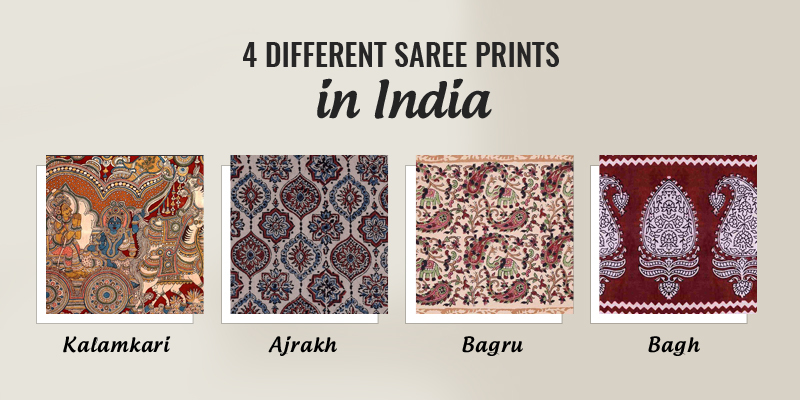 It is the sheer beauty of the prints that sum up to the whole essence of owning a saree. The six yards is equally popular among the older and newer generations. Although western outfits are far more comfortable to carry, the grace offered by the Indian sarees always remains unparalleled. Women who are attracted towards this particular ethnic attire know how many variations the Indian saree prints have. There are innumerable printing styles available in the market and some of them have been highlighted below. There are many people who are unaware of the various saree facts. In this blog, we put our focus on the amazing saree prints that have been beautifying the Indian ethnic look of the women since ages. 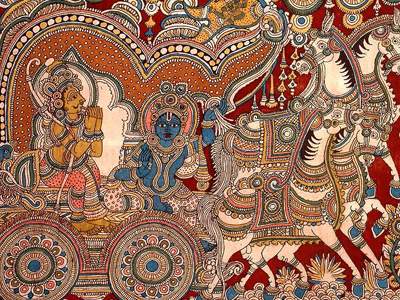 The majestic art of drawing with a pen is known as Kalamkari. In the ancient period, travellers used to draw out stories from Hindu mythology while moving from one place to another. Natural colors extracted from our surroundings were used to create those paintings. 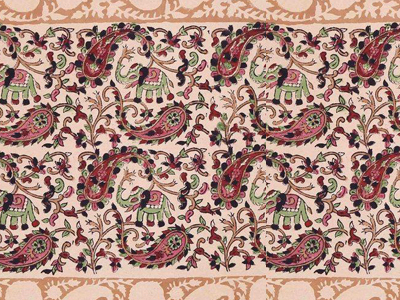 Kalamkari art has gained immense popularity over the years. The drawings involve both animal and floral prints. The kalamkari artists put immense effort in coming up with these fascinating creations. When the sarees are decked up with kalamkari prints, the six yards become livelier and more gorgeous. This is one of the most beautiful forms of block prints available in the market. 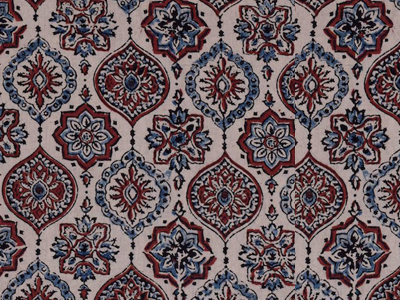 Ajrakh print is mostly seen on carpets and shawls. Stamps are used to create these particular prints. Apart from using a variety of shades, natural dyes are also put to use to bring out the distinctive color essence. Another classic block print instance, Bagru print is completely natural and looks elegant. This print was first introduced to the world by the Chippa community in Rajasthan and has been ruling the block printing world since then. It takes the artists quite a long time to create such wash resistant prints. Natural dyes are used to bring out the fascinating Bagru prints. 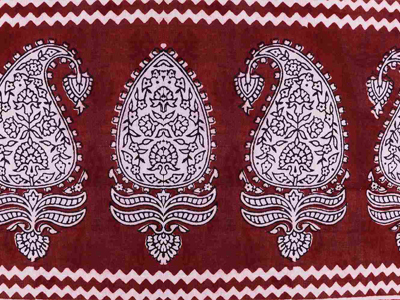 This traditional block printing technique originated in Madhya Pradesh. This technique makes use of natural colors only. Firstly, the cotton and silk fabrics are treated with corroded iron fillings after which the Bagh designs are printed on them. Once the printing process is done, the fabric is washed in the river for several times and later on gets dried in the sun to attain that mesmerising look. Indian Silk House Exclusives is one of the finest stores based in Kolkata where it is possible to get sarees in different prints. Get yourself some of these and you are surely going to rock the heritage look with ease. These are four of the most interesting prints that have made huge names for themselves in the industry. Apart from offering a lustrous look to the six yards, they also work wonders in making the wearer look absolutely awesome.